Among all the useless, and often industry self-generated questions of print relevance is a related topic that doesn’t get much airtime – Print Management Services. Print Management Services come in many flavors, but at the core, these are companies that have workers either placed within or acting as Print Production Managers / Print Buyers for a company from a remote location. Some of the more well-known names of Print Management companies are InnerWorkings, HH Global, Williams Lea Tag and Schawk. I could easily argue that Print Management Services were born as a result of money being spent on irrelevant print. By irrelevant I mean ineffective as a marketing tool, not a categorization of the medium, and it’s about time we started addressing that as the distinction. While many industry talk tracks still remain focused on proving print is “alive and relevant” with stats about Millennials, an entire arm of the print production and creative process is being deemed irrelevant and outsourced for a cheaper option. Yes, in-house Print Buyers are losing their jobs on price; a price being set by Print Management Services that lowers the bar for everyone. Here is my disclaimer, and I say it because I believe it. There are SOME circumstances where Print Management Services are needed and without them, those printed materials wouldn’t exist. Think of somewhere where the same person who buys office supplies also buys the print, or a company just starting out and has no access to knowledgeable print buyers. Print Management Services can also significantly improve quality, internal and external processes and add value through additional services – like file creation and digital asset management. They can save companies a significant amount of money with their buying power. A short time ago a Print Buyer from a HUGE print buying corporation – $80Million + huge, reached out to talk about her recent experience with a Print Management Company and their mission to get her, her team and her loyal print partners out of the picture. She agreed to record a podcast with me, and I only refer to her as “Dee” so she could speak freely. It is VERY RARE to hear from a corporate print buyer of this caliber, and so candidly. I am sure there will be some backlash from the Print Management companies, but I welcome the conversation and I am open to recording alternative points of view. “Dee” also shared some great intel on what makes a printer stand out from the 100’s of calls and emails she gets a week, and how to best approach someone in her position with a new technology or idea. Very helpful information, worth a listen before your next pitch or cold-call… Listen Long and Prosper! Deborah Corn is the Intergalactic Ambassador to The Printerverse at PrintMediaCentr, a Print Buyerologist™, industry speaker and author, host of Podcasts from The Printerverse, cultivator of Print Production Professionals the #1 print group on LinkedIn, host of #PrintChat every Wednesday at 4PM ET on Twitter, and the founder of International Print Day. She is the recipient of several industry honors including the 2016 Girls Who Print Girlie Award and sits on the boards of the Advertising Production Club of NYC and The Magazine Innovation Center at the University of Mississippi. 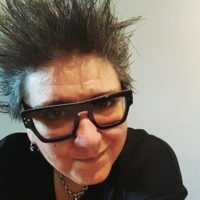 Deborah has 25+ years experience working in advertising as a Print Producer, and currently works behind the scenes with printers, suppliers and industry organizations helping them create meaningful relationships with customers and achieve success with their social media and content marketing endeavors. Wonderful post and podcast. As a Corporate Print Buyer I do not see the value of a Print Management Company. The print management companies you mentioned have contacted our E level people. Fortunately, our CEO sent their sales material down, down, down, to me for a response. That I am still here is a nod to my ability to “prove” that their services would not be efficient or needed here. I have a white paper I would share anonymously. Dee was right on all her points. Thanks for this podcast. Excellent podcast! I have been on both sides of this, as a corporate print buyer and also working for a print mgmt. company. Dee’s remarks are so spot on – when I was onsite for a print mgmt. company, our focus was 110% to our company, not the client. I could not tell you anything about their corp goals, brand focus etc. When it was time to show our savings, it was all smoke and mirrors. I am now back as a corp print buyer and make sure to document, document, document cost savings, efficiencies, opportunities (even if not acted on)etc. Thanks! I’m in agreement with Dee’s observations about the value lost for large print buyers using a print management company, lost with no relationship to valued print vendors, etc. I’m ok with the business classification, but I view this as an embedded broker, just like there may be embedded admins and accountants, and the strongest benefit is on the balance sheet. Brokers are valuable for infrequent print buyers, or for buyers with an unusual project; brokers tend to have strong networks and can often make faster connections, and they may have a relationship with a capable printer when the client doesn’t. Thanks for sharing this. Excellent and on point discussions. Nice Podcast and article Deborah Corn!! 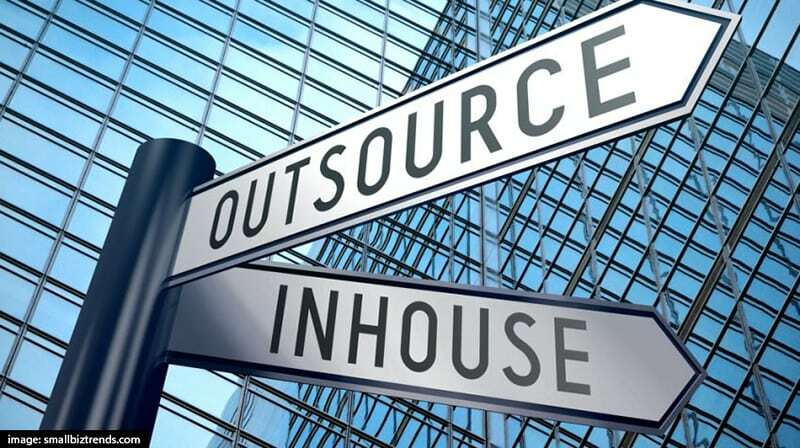 Yess it is significantly costly to outsource printing. As it also includes transportation and material handling cost. We also need to check for quality as we are not present. Thanks for this article!! Great podcast, and Dee is spot on with her comments. It’s unfortunate that print has taken a back seat to advertising spend in the last 10 years. Social media is where the dollars are going. Prints decline has fed the bottom dwelling outsource companies, only focused on the bottom line. As a veteran 25 year advertising print producer, I’ve run into this issue. For there to be real change, the agency must embrace, and value the role of their print manager. Also, the the print manager must become an integral part of the overall agency team of account managers, media people , and especially the creative team. 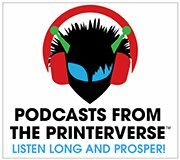 An informative podcast, and on-target to the larger issues associated with utilizing print management companies. As I have worked on both sides of the equation, I can attest to the fact the it’s all about the profit and margin for the brokers. Besides the fact that a customer’s work is generally sent to the lowest bidder, there are also the back-end rebate programs forced upon manufactures by the print management companies. These are rarely spoken of, and in many cases, the end user companies are not even aware of the additional revenues generated for the print management company, and are certainly not included in any of the financial benefits. Most of the print manufacturers I have been involved with dislike working with the print management companies, they are seen as a necessary evil and not usually looked upon favorably. Even if a company does use a Print Management Company it would be in their best interest to keep a print buyer on staff as a gatekeeper. I worked for two huge Print Management companies and very often it was our clients insistence to have the Mercedes Benz of printing that prevented cost savings even when these cost saving ideas were presented to them. An experienced Print Buyer with veto power can redirect company funds to projects that both look good and save money. Our company offered warehousing services allowing for bulk purchasing, helping to eliminating warehouse and internal distribution personnel as well as supply better prices on the printed products. What our client lacked (at their disadvantage) was someone to keep the designers in check. This is current & right on point for not only Print Production professionals, but today’s business climate as a whole. Great conversation Deb! I have worked on both sides of the spectrum and this is a lot of what goes on in all of the processes. Having worked in this industry for over 30 years, Quality is very important and lowest bids don’t really match that most of the time. I have a post on my LinkedIn site that reads: “The bitterness of poor quality remains long after the sweetness of low price is forgotten”. So True… so true! Thank you for posting! Bravo, Deborah! Very well done and a great subject to address. This has been going on for quite a few years now – I started running into it while still working at agencies. Fantastic podcast! Unfortunately the value and knowledge we print production managers bring to our companies is being sacrificed all for the bottom line by upper management who know nothing about print. It’s long over due someone finally spoke up for us, Bravo Dee and Deborah! Try explaining a poorly printed piece to a marketing manager that we print production managers no longer have a say as to where their piece is printed. Great Podcast. Your questions were the exact ones I had while listening. Dee gave some great advice. Thank you!